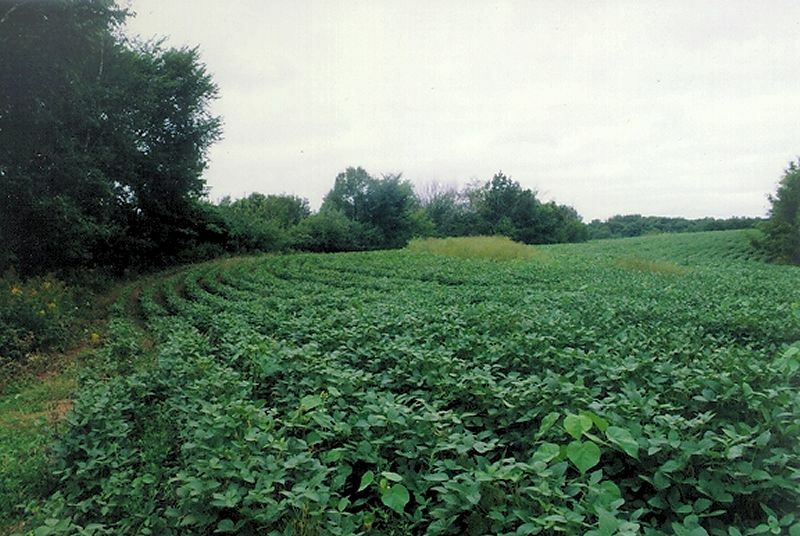 When we purchased our property in 2000, about 150 acres of the land was planted in soybeans. It was rented out to a local farmer, and had been no-till planted in a rotation of corn and soybeans for years. We decided, in keeping with our plan to restore the land to the way it had been before it was settled, to plant prairies in all these fields. So every winter we planted prairie on 15 to 20 acres of this cropland. The farmer continued to plant the rest in corn or soybeans. That kept the fields relatively weed free until we were ready to plant. We planted our prairie seeds in the winter, after the crop was harvested, on top of the snow. On all the prairies except two we broadcast the seeds by hand. The Cat’s Paw Prairie and the last third of Western Prairie are our two experiments with using a seed drill to plant the seeds. We planted the first prairie in the winter of 2000/2001, and the last one in the late fall of 2007. We now have 150 acres of reconstructed prairie. 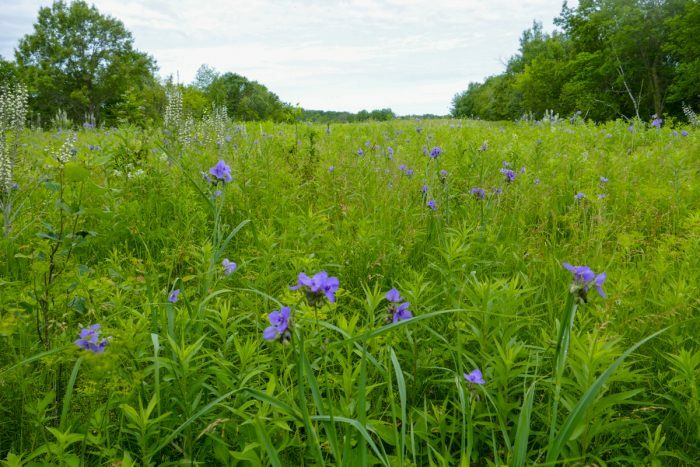 To see the results, check out our Planted Prairies. A similar view of the Narrows Prairie in 2015. On the following pages, I describe in detail the methods we’ve used to collect and plant the seeds.